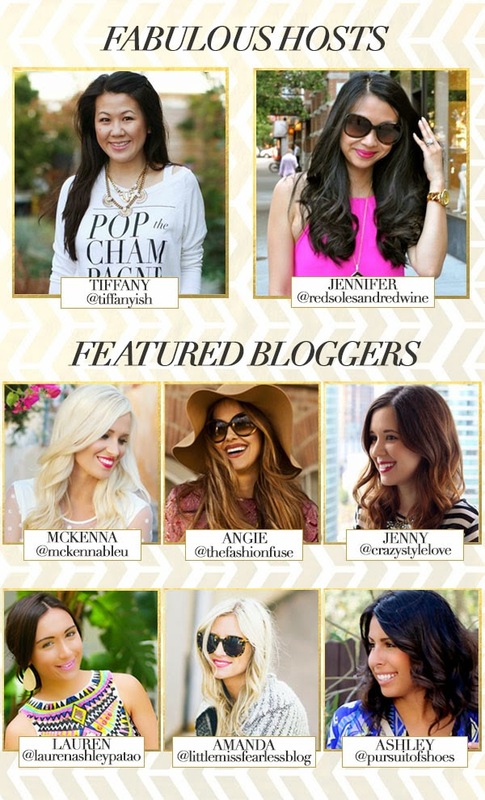 I’m so excited to partner with t+j Designs, along with these seven lovely ladies, to host a fantastic giveaway. 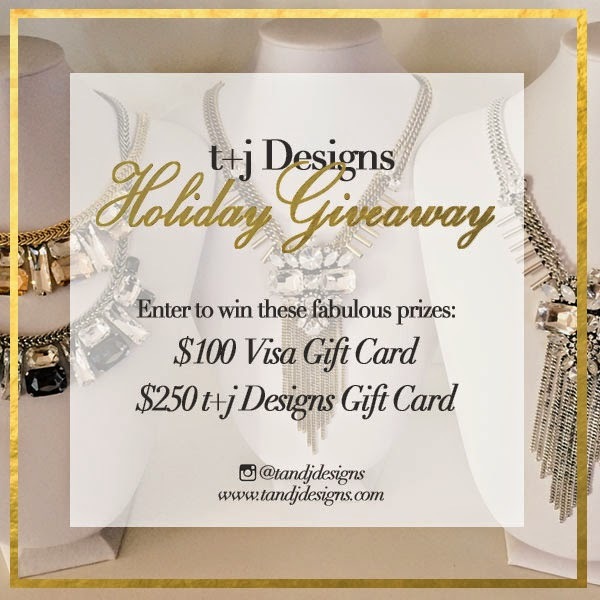 To thank you all for your constant support, and to get you ready for your holiday shopping this year, we’re giving away a $250 gift card to t+j Designs and a $100 Visa gift card! It’s super easy to enter using the Rafflecopter widget below. Contest open to US and Canadian residents, and closes on November 10, 2014. Be sure to check out these gorgeous ladies co-hosting this giveaway. Each and every one of them is fabulous! Tiffany from I am Style-ish, Jennifer from Red Soles and Red Wine, McKenna from McKenna Bleu, Angie from The Fashion Fuse, Lauren from The Fashionista’s Diary, Amanda from Little Miss Fearless, and Ashley from Pursuit of Shoes. Thanks for including Canadians in your giveaway! I love the rings especially the Modern Stack Ring…it’s GORGEOUS!! I love the Luxe Jewel Crystal Cluster Necklace! SO perfect for the holiday season. My favorite piece on the site is the turquoise pave bracelet. Beautiful Jewlery on the site, & in love with the clutch your featuring on your blog! Beautiful Jewlery on the site, & in love with the clutch you are featuring on the blog!! My favourite item had to be the Lexie Opulent Necklace. Thanks for a great giveaway! I love the luxe wing crystal earrings, so pretty! The lavender ice necklace is my favorite!